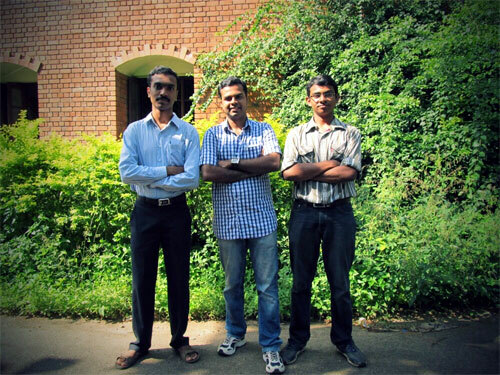 It's raining innovators across college campuses in Kerala. Bringing to the limelight some of the brilliant ideas and innovative projects from campuses is a unique initiative by Startup Village, India's first telecom incubator. Promoted by the Department of Science and Technology, Technopark Trivandrum and founders of MobME Wireless with Kris, co-founder of Infosys as the chief mentor, the initiative, has launched an ambitious talent hunt. This initiative plans to groom a billion dollar company from a college campus by the turn of this decade. 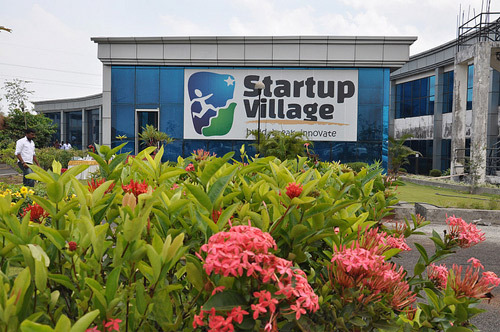 Startup Village, which received more than 200 applications in just four months, has shortlisted 6 innovative projects for incubation. "Startup Village is our small way of contributing back to the startup ecosystem that has given us so much and to help spawn the next 1000 tech startups in India and start the search for a billion dollar campus startup," says Sijo Kuruvilla George, CEO, Startup Village. Lamenting over the inability of India's education system to 'inspire innovative thinking', Startup Village attempts to build confidence among students to build on their innovative ideas. "The curriculum and the present academic setup do not spark imagination and creativity," points out Sijo Kuruvila. Startup Village covered 164 engineering colleges in Kerala in its pursuit of unique ideas that can be transformed into real solutions. Besides partial funding, Startup Village will also provide a slew of perks like platform to incubate the idea and an opportunity to showcase the projects before Infosys co-founder Kris Gopalakrishnan. We also present the top 6 innovative projects, selected by Startup Village for further tech and financial support. What was the idea behind starting Startup Village? Are you looking at projects only from Kerala? Every startup needs a lot of support in the early days when everything is so vague, ideas are aplenty and the founder(s) just have an idea and the only capital being the fire he carries in his belly. When we (the founders of MobME) started our entrepreneurial journey at an age of 21, it was something not really common in our country but over five years, we've grown, with the support of a lot of people in the ecosystem, to become one of India's top 10 Emerging IT companies. We have not set definitive boundaries in terms of location, we look for innovative and inspired initiatives. It is open to entrepreneurs across India. 1,000 product startups over 10 years: Is this a realistic goal? How will this become a reality? Yes of course, it is a very realistic goal. We have received more than 200 applicants in just four months. We also are in the planning stages of a few initiatives which would systematically bring about these numbers. 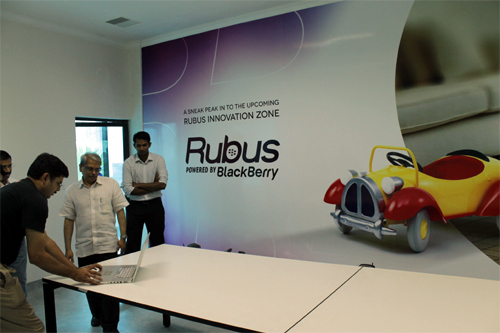 Image: Sijo Kuruvilla George, CEO, Startup Village (L) and Sanjay Vijayakumar, chairperson, Statup Village. How was the response from students in terms of submitting projects? Startup Village aims to incubate 1,000 product startups over 10 years and has started the search for a billion dollar company from a college campus by turn of this decade. We have received a very positive response from the young entrepreneur community, we have received more than 200 applications and about 60 of them are incubated. We have also initiated a campus connect program by which we plan to form a network among the various college campuses, and also making them aware of the Startup Village organisation and inspire innovation and entrepreneurship among the youth. How many projects did you scrutinise? How was the evaluation done? As part of the IEEE - Startup Village Student Project Program, we had received over 500 applications of which we shortlisted 25. These 25 applicants made a presentation at Startup Village. After this, the final projects were selected. The selection was done by a 5-member panel comprising of representatives on behalf of IEEE, Startup Village and MobME. 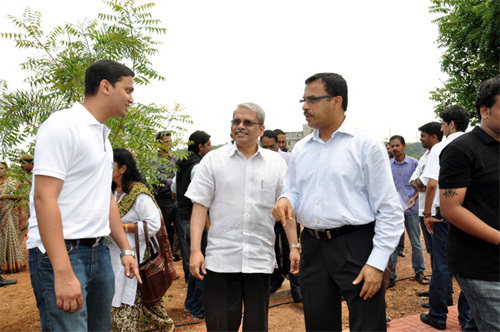 Image: Kris Gopalakrishnan, Co-founder of Infosys at Startup Village campus. What do you think about the quality of ideas? We see a huge untapped potential in the various projects by the startups. With the right guidance and mentoring we are quite confident that these startups can turn out to be big enterprises in the future. And more strikingly, more than the quality of the ideas, the quality of the talent is what really impressed us. All ideas start small and keep evolving over time and it's the entrepreneurial DNA that makes all the difference. Can these shortlisted projects be converted into viable, profitable ventures? Yes, the innovative ideas that the startups have come up with shows great commercial promise and this is where the role of the incubator comes into play. How long will it take for these products to hit the market? The startups are at various stages in the development process of their projects. Some are even registered companies with several products out in the market whereas some are just starting out and require more time to bring out their respective finished projects. What kind of support does Startup Village offer these students? Startup Village aims to bring four key elements needed for a robust tech startup ecosystem at scale for the first time in India with the following pillars under one umbrella. 1. A policy change in the education system where students in engineering colleges who pursue entrepreneurship get the current benefits that is being extended to sports or NCC. This in Kerala is 20% attendance and 4% marks in the University exams. 2. An incubator which functions as an idea nursery. a) Hard infrastructure - This includes physical space, power, security, work stations, canteen, conference rooms etc. b) Soft infrastructure - This includes computers, servers, leased line internet, Wi-Fi, Printer, Scanner, Fax, Phone Lines, Photocopiers, Credit Card Facility, Virtual Office services like receptionist, Mail Box address etc. c) Support infrastructure - This includes CAs, Lawyers, IPR Consultants, PR Consultants, Mentors etc. d) Technology infrastructure - This are key technology infrastructure that are supplied to the incubator companies in partnership with technology partners. 3. An accelerator which provides minimum capital and specific support required for the promising ideas that come from the incubator. 4. An angel fund, which can invest in the high growth startups. 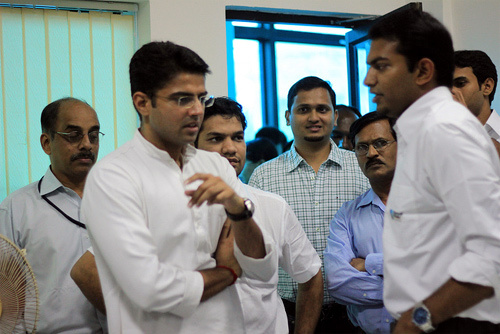 Image: Minister of State for Communications & Information Technology Sachin Pilot at the Startup Village office. 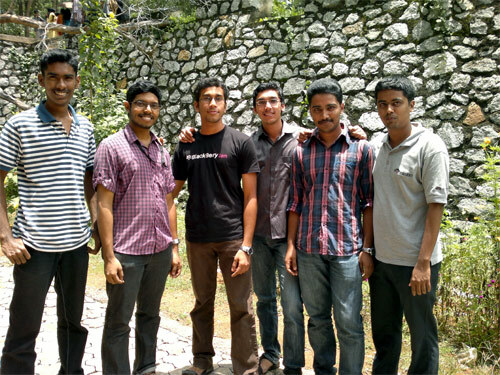 How keen are students in Kerala to become entrepreneurs? About 3 in 5 applications are from young student startups. There are more students exploring the startup route. How innovative and intelligent are students in Kerala compared to other states? We don't have an exact comparison to the other states, but I have to say that the talent and students in Kerala are uniquely poised to take advantage of the next growth wave in India; which we believe is the creation of a knowledge economy led by product companies. 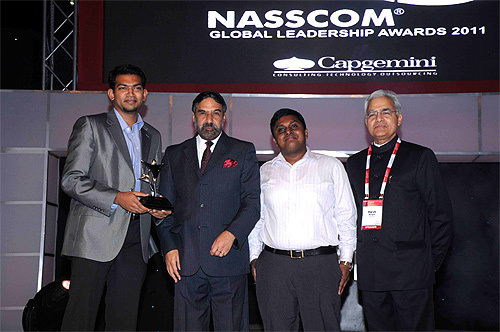 Four out of the top 10 Nasscom emerging companies had founders from Kerala. 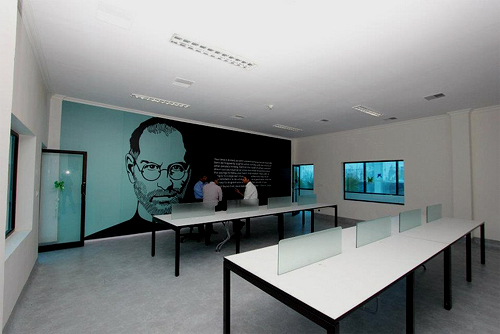 Image: A presentation at the Startup Village office. Does our curriculum encourage students to be innovative? We feel that the curriculum followed by the system of education in India is not updated at the pace which is demanded by the advances in science and technology. The student community is not open to resources that are required to inspire innovative thinking. Most strikingly, the curriculum and the present academic setup do not spark imagination and creativity. Majority of students like to join corporates after engineering though they may have brilliant ideas to work on, how can we bring about a change in the mind-set of young students? Ventures like Startup village promote the student to bring out their own innovative ideas and even provide the resources they require to do that, including technical assistance as well as mentoring. The key is to unlock the curiosity in the young minds. And we have realized that exposure, both to markets and technology, is the magic portion. We aim to provide that in abundance at Startup Village. Parental pressure is one of the issues. Since our parents are used to only getting jobs, it is difficult for them to imagine their children being job creators and not job seekers. You have set an example with MobME. How is MobME doing? How has been the growth so far in terms of revenues, solutions offered? MobME was born out of vision where we believed that it's time for being first generation entrepreneurs in our country, a path less trodden for the vast majority in our country. The backing of media and society was extremely strong and after we took the plunge while being in college to start MobME. Today, there are 136 startups in Technopark Incubator in Thiruvanthapuram. MobME is today rated as one of India's top 10 Emerging IT companies but we are excited to create ripples in the ecosystem that allows for more startups to grow and flourish. With Startup Village, we now hope to hit the critical mass required to tilt the scale of innovation and build an awesome entrepreneurial ecosystem complete with a supportive education policy, an incubator (idea nursery), accelerator (help ideas which have either user or revenue traction) and angel fund (where you invest small amounts of money in return for single digit equity holdings and act more like a co-founder) thus creating an extremely entrepreneur friendly ecosystem that invites you to build, break and innovate. Image: Sanjay Vijayakumar, Co-founder and Chief Executive Officer, MobME receives the Nasscom award from Anand Sharma, Minister for Commerce and Industries, former Nasscom chairman, Harsh Manglik, Vivek Francis, MobME Co-founder MobME. While setting up Startup Village, India's largest incubation attempt, the scale of operation we envisioned for ourselves was colossal. In order to again the flexibility to pursue such an ambition, it is critical to have the right partners on board who understands this. Gaining the support and guidance from the government of India, established industrialists, reputed corporate institutions, and key educational institutions, their startup ecosystems and media has assisted us to gain our current momentum and accelerate forward. 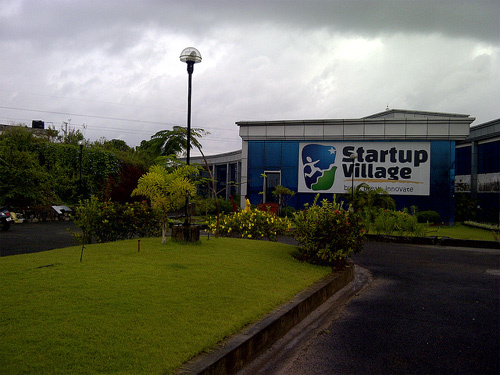 It was equally important for Startup Village to have the ideal talent pool for executing its action plan. At Startup Village, we are leveraging on the foundation laid by Technopark Incubator over last six years to accelerate the tech startup-ecosystem in Kerala, to achieve the mission for a 1000 product startups. 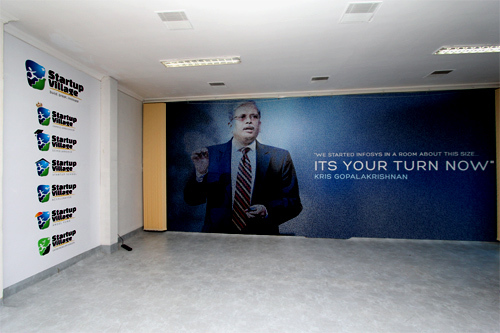 Image: Kris Gopalakrishnan, co-founder, Infosys at the Statup Village office. Do you feel Kerala has a conductive environment for entrepreneurship to flourish? The people of Kerala from across academia, media, bureaucracy, business, political leadership have been supportive of the Technopark Incubator since its start in 2006. This has resulted in creation of a great foundation over the last six years by networking a vast majority of engineering colleges in Kerala. Kerala is also 100% literate, has near 100% tele-density high IT literacy and access to broadband making it an apt state to setup a telecom incubator. Further, Kerala is home to MobME Wireless and we're indebted to the support and faith that the above cross-section placed in us when we started off as one of the first campus startups in India. What are your plans in terms of promoting innovation and entrepreneurship? We strongly believe that innovation and entrepreneurship are critical for growth. In order to strengthen the ecosystem, we need to reach out to future innovators from as early as 9th standard. Through our campus connect initiative, we plan to expose the young minds to view developments in science and technology. We hope to broaden their perspective and instill interest in entrepreneurship. We will try our best to create technology entrepreneurs in our state to see the 'Dawn of a Silicon Coast' in India. Rahul R talks about the SMS based vehicle locating system. How was the experience of building this solution and getting support from Startup Village? The experience was really amazing. We have always wanted to build something that benefits the common man. To get technical assistance for our idea from IEEE ComSoc and support from Startup Village is a dream come true. We plan to take our idea to the next level. We are working on an android application that reduces user effort in locating local transportation. Is it a commercially viable idea? How will you generate revenue from this? What's the USP? Charge a small fixed fee for using our SMS platform to look for an auto. Take a cut from the auto fare so that only customers using the service need to pay. How can people actually use this solution? They will receive the contact number of auto-drivers near the location. But presently the database isn't maintained and updated in real-time. We are perfecting location identifying system. Users can expect a practically useful version pretty soon. Are you keen on becoming an entrepreneur? Yes, very much. The technological landscape of our world is rapidly changing and infinite possibilities arise for building great things. Many novel ideas remain unexplored in India. We are inspired by Vinod Khosla, co-founder of Sun Microsystems who said "Freedom to fail is a key ingredient in success. Try and fail, but do not fail to try. Every disadvantage in India is an opportunity to do something big". 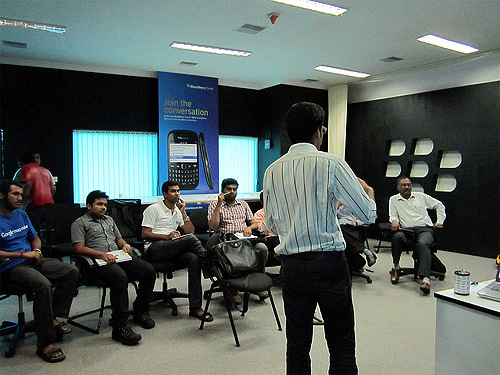 How keen are students in Kerala to become entrepreneurs? Does the state have a conducive environment for entrepreneurs? 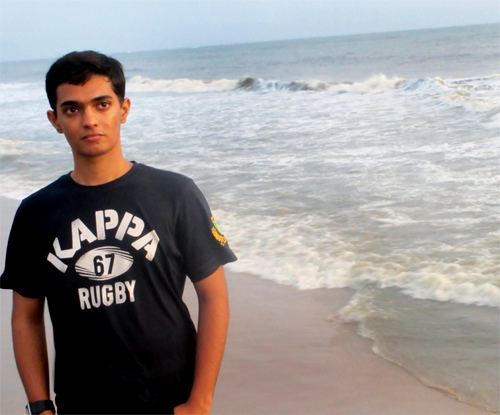 There are students in Kerala, who are interested in becoming entrepreneurs. But as of now, their numbers are dismally low. Kerala presently has a conductive environment for entrepreneurs. Initiatives like Startup Village and Technology Business Incubators are supporting the cause. But the general mindset of students and their outlook about entrepreneurship needs to change. Does our curriculum encourage students to be innovative? How can we encourage students to be innovative? It is sad to note that our curriculum is not encouraging students to innovate. The syllabus being taught is outdated and doesn't cover many things of real life importance. Students are often underestimating their capabilities and the opportunities they have. Majority of students like to join corporates after engineering though they may have brilliant ideas to work on, how can we bring about a change in the mindset of young students? Exposing them to the industry and inspiring them with the success stories of startups can help. Initiatives like Entrepreneurship Development Cell that was recently started in our college are steps in the right direction. What is your team's ambition? Our ambition is to be India's first major product based software company rather than catering to the service industry. Libin Babu talks about the Smartmotive project. Tell us more about your team and the effort that has gone into making this solution. We understood the requirement of a modified wheel chair for paralysed people, after visiting a physiotherapy center. The physiotherapist told us that engineers can help thousands of paralysed people, working with the principles we learned and observing the needs of suffering mass. I was thinking about the possibilities and got an idea and shared with my friends .We presented our idea of a standing wheel chair before him. He was impressed and told us this will make a positive impact for thousands of patients. He explained how this will increase recovery chances of the patient. We started working on it. We consulted physiotherapist Dr. Vijesh for studying the patients' needs. We made a prototype using sheet metal and syringes. We have modified its input methods to very sophisticated levels. How was the experience of building this product? The fact that we as engineers are working for the well-being of society instills a sense of pride. We want to make the real working model that can be used by patients. I am looking for a platform to hold our technology and commercialization. The standing wheelchair helps a paralysed person to get up from the seating position. Every operation is controlled by retina movements, or facial commands or sound. So it will be useful for all types of paralysis. The low cost and extra features of the wheel chair make it very useful compared to other models. I feel students don't have a proper platform to develop entrepreneurship. The project engineering students do during academic curriculum is pretty good. What is your ambition/team's ambition? We want to see paralysed people live like normal people with the help of our wheel chair. We want to improve their quality of life with low-cost gadgets. Dainy Daynesious talks about the project. The product is in its design phase at present. We hope to complete it by January-February 2013. The experience, till now, has been refreshingly exciting, yet full of anxiety, and at times frustrating too, but that thrill of success and attaining new heights is great. We do realise that we may have to face several challenges, as this concept is still in its research phase, but we are ready to face the challenges. A new powered limb offers hope to the physically disabled. Not only will this device enable a paralysed person to regain the use of their hand, in a mechanical sense, but it can also be used to facilitate the retraining process of muscles and nerve connections, and shorten the recovery time for temporarily paralysed people. As of now we are focusing on the successful implementation of this project. Once we are done with it, if time and situation permits, we might commercialise the project into a product for easily availability in the market. Is it a commercially viable idea? How will you generate revenue from this? As systems employed in the product use currently existing and available technologies, or slightly modified versions of the same, we believe that the product implementation can be successfully carried out. Our focus is to reach out to the maximum people and give them a new hope to live life the way they wish to, without having to depend on anybody for support. As mentioned earlier, if everything works out, we may consider going ahead with commercializing the project into a product, but for the sole purpose of making a difference in the society and not for earning profit or generating revenues. A product like this has not been developed yet for the use of the general public. Even the research being carried out right now is primarily focused on scientific research and development and not on developing a consumer product. Our project aims at implementing this technology on a low cost, user-friendly framework that can be afforded by the general public and is also viable for everyday use. As per the current trend, entrepreneurship is on the rise. Kerala is known for its innovative youth. We have brilliant engineering minds and. Kerala is slowly realising this vast untapped potential and has started providing opportunities to showcase the same. 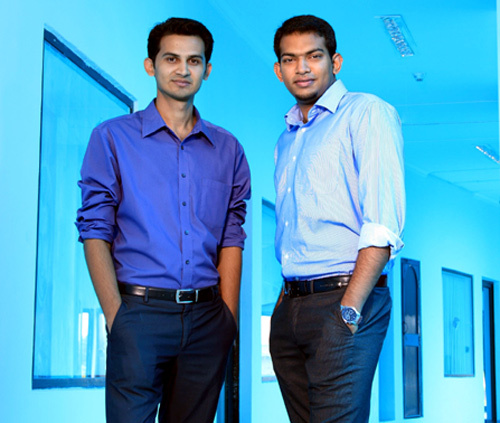 We are blessed to be students of Mar Baselios College of Engineering and Technology, which is currently in a tie up with the Technopark Incubation Centre (TIC), a well-evolved and very successful venture that spurs the entrepreneurial spirit among the talented students and professionals of Kerala in the knowledge driven industry. It is a sad truth that the current education system lacks the required ability to evoke the youth and challenge them to bring out the creativity and talent in them. In the present day scenario, majority of the students are pursuing a particular course just for the sake of a degree and not because they want to learn something new. Keeping aside the engineering curriculum, in Trivandrum, a lot of opportunities are being provided to support the students otherwise. The IEEE Comsoc – Startup Village project incubation venture has been a source of immense encouragement and motivation. A number of national level project-based competitions are also being conducted on a large-scale, like Spark, that is going to be held in Mar Baselios College of Engineering and Technology, technical fests like Drishti, organized by CET offers a good platform for students. Majority of students like to join corporate sector after engineering though they may have brilliant ideas to work on, how can we bring about a change in the mindset of young students? This happens mainly because of the pay scale and job security in the IT/corporate sector. To venture out into something new and different is a big challenge. Considering the risk factors involved in this field students prefer to opt for a job. Proper awareness, financial support, right ecosystem and encouragement can help. Examples of eminent personalities who have created landmarks in this sector can also ignite the spark of innovation in the young minds of our nation. We as engineers want to make a difference in the society and help the people by applying our engineering skills to the fullest. 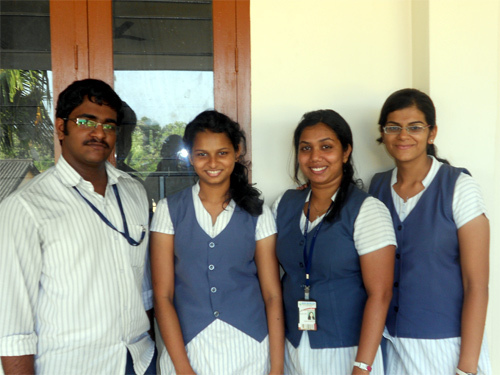 College: Sree Chitra Thirunal College of Engineering. Aravind Anil talks about the project. We have been together right from our school days and this strong bond of our friendship revolves around our passion for new innovative technologies, which shall help the common man. Our work nature lies in identifying problems around us and defining the best possible solutions for them. As budding engineers, we feel that it is our own duty to serve the people around us with anything related to technology. 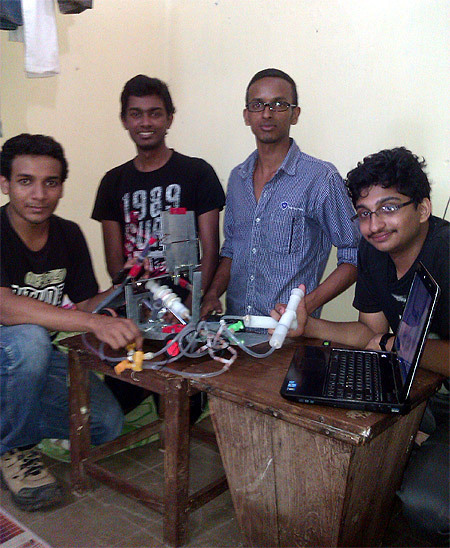 Project Haritha is an automated irrigation system, which finds application in both households and large farmlands. It took us almost one month of dedicated work to develop the prototype. We found difficulties from building the sensors, integrating the GSM module with the microcontrollers and finally implementing the prototype as a whole. But the happiest part of this is that the prototype of the system is highly successful in terms of the results obtained so far. Our immediate plan is to build a real time system of the project. This will definitely invite more technical challenges which needs to be solved before bringing out the final product into the market. After the first product launch, more research would be put into improving the efficiency of the sensors used. This will lead to an improvement in the water conservation rates and also to better durability of the sensors. Better algorithms would also be tried out inorder to improve the energy efficiency of the system. The first step that we took after deciding to build a prototype of the system was to conduct a survey among 100 random households in Trivandrum district. The main aim of the survey was to find out how well the system would be accepted among the people. The survey results are inspiring since around 53% of the people responded positively to the system. 10% of the people responded saying that they will make a final decision after receiving reviews of the system are available. Thus, the results of the survey states that the product idea is commercially viable. Revenue is expected to be generated by selling the product in association with the Kerala government along with its various policies to promote household farming, precision farming etc. Further revenue is expected in post sales service of the product as this will be required in timely changing the perishable moisture sensors. Low cost is an obvious USP of our product. Stress needs to be given to the fact that the device will be so user friendly that even a person without any knowledge in the technical domain can operate it easily. During the later stages, when we make the system compatible with large farmlands, even the not-so-well educated farmer can use it with ease. Yes, since we believe that we have the ultimate solutions for many problems faced by people today and we believe that we will be able to deliver the products to the right target group. Well, as in any part of the world, students from Kerala also have great ambitions to become self employed, to sell off their own ideas, rather than being a part of a "big daddy" company and to work to achieve the targets of the company. Another important fact that needs special mention is the hard working nature of the people from Kerala. Given a conducive environment, the probability of student entrepreneurs from Kerala becoming successful with their startups is very high. Kerala Chief Minister Oomen Chandy has announced a Student Entrepreneurship Policy (SEP) that will be rolled out very shortly. According to us, this will be one of the most bathbreaking decisions from the part of government concerning student entrepreneurs. The students who will be given 20 per cent duty leave from their educational institution and also 4 per cent grace marks during their course according to SEP. Such a policy will give more confidence to budding entrepreneurs as they can concentrate on ideas, get exposed to the world of business. From the perspective of an engineering student, I don't feel that our curriculum supports innovative ideas or student entrepreneurs. But with the interest that the state government has shown towards student entrepreneurs recently, I feel there will be a major curriculum revision in a very short period of time which makes students to think on how they can benefit the world with the knowledge that they acquire during their course. A huge role also vests on the educational institutions as it is the place where a student spends most of his/her time. Only a very few institutes in the state offer an environment where students can give wings to their thoughts. I believe innovation doesn't come from books. Neither do I believe that innovation comes from classrooms. I believe innovation comes from thoughts. To have thoughts, you need to have exposure to the real world. You need to talk with the society around you. You need to find the problems around you. If you find a solution to those problems, it's an innovation. The students should be encouraged to involve themselves in more social services than in social networks as we feel there is always a huge divide between the real world and the digital world. The very first thing that needs to be done is to make the student community aware of the possible benefits of entrepreneurship. I believe that there are still people who ask, "hey, can I start a company without completing my course?" This is the kind of awareness that most of the students in our state possess about entrepreneurship. I would like to quote a famous poem by Robert Frost here, "Two roads diverged in a wood, and I took the one less traveled by, And that has made all the difference". Presently, many colleges in the state have an Entrepreneurship Cell established. However, only a very few of them are active. These cells could encourage the students to take the right path. Teachers play a big role in this process. They should ask their students to think, find out the different problems in the society and define solutions for them. Our present ambition is to convert our project into a successful commercial product, which can be implemented in the households easily at a very nominal cost. Research is also on into improving the accuracy of the sensor system. We also intend to come out with more humanitarian products into the market in the future. Our ultimate aim is to extend our services to the entire globe. Anugrah talks about Tarang and its uses. Tarang is a new type of electricity generator. The experience of developing something new is challenging. One cannot expect much support from others as it is 'new'- only you know about it. It is painstaking process as I have missed out on class-internals. On one side, people admire you while on the other hand people criticize you for not being successful in the routine work. Since I had already proved my theory, the focus was to making a real working model with all the conventional engineering standards! As per theory, the specimen should be commercially not only viable, but economically much cheaper than the conventional devices. If things go hand in hand with the theory, it would surely surpass the conventional device in all terms. I would like to take a patent for the same and sell it to a suitable company. I would definitely like to be an entrepreneur. But being one involves lots of risk too. It is not always secure in this field, if no other means of income can support you. I have seen an observed two traits in the students of Kerala. There is one class of students who just tries to get through. All they want is to earn a secure job and for that they specialise in science as a subject, or rather as a tool to make themselves eligible for the competitive exams. They are not bothered to raise questions in the field- just try to study it and reproduce the same where ever they are asked to! A minority still does not bother about job security. They simply raise questions every now and then, try to apply what they have felt is true in science in every odd situations and make out something innovative. The environment in the state was not favorable for entrepreneurs for quite a time. The scenario slowly changing, yet, there is a long way to go. The CBSE curriculum and the NCERT textbooks, without doubt, does its best, or rather the best, to bring out the entrepreneur from the student community. But, no school, no teacher follows either of them. The aim of all the schools and its staff is simply to feed the students, in varied means, the bare 'topics of interest' to the students. No school tries to make the students try the activities and miscellaneous experiments given in the text book. No school tries to abide by the method of teaching prescribed in the CBSE books. So the current teaching style must change. Further, students must be encouraged not to agree with what is proved as science, but to find ways to disprove all theories- in the process, they will not only come across all the necessary topics (thus getting familiarized with them) but also 'feel', why the particular arguments were wrong, or how well the existing theories are fitting! Majority of the students (sadly even me) would love to join corporate. One cannot blame the students as it gives a secure life. There is no mechanism to support the innovators, in case of a project failure. Projects must fail- and when they fail, especially if they are innovative, they lead to losses. It is this fear that discourages innovators to be dedicated entrepreneurs. Here, it is the turn of the government to try out various methods to counter this trend. Honestly, my sole ambition is to serve the society, my nation to the best of my levels. I don't believe in selling knowledge. If any government agencies are keen on developing my idea, I would happily donate it to the government! My dream is see people using a device or service that I have developed, in front of me, without knowing that it was me who developed it! The movement of this unique wheelchair can be controlled by eye-movement, voice and lever control. So it is easy for handicapped people to use it. It can be changed to a semi sleeper bed according to user's wish. The hazard sensors will detect the environmental problems like flame, gas leakage, overheating of room/ humidly and if these parameter reach a certain it will inform (send SMS) to person concerned. Besides this, the device always monitors the human conditions of the user, and if there is any change in the patient's heartbeat or brain functions it will immediately inform the doctor/concerned persons via mobile. The device has an intelligent robotic arm, which can be used to help the handicapped to take food and medicines.